Today was one of those days where I started with an idea for a mani, picked the colors, had it fail and decided to go for something totally different! I've seen more dotted gradients around lately and I thought it would be a perfect way to practice dotting. And I'm pretty sure I've seen a pink mani similar to this which looked great (can't remember from who though edit, the mani that I ment here is from Nailed It! 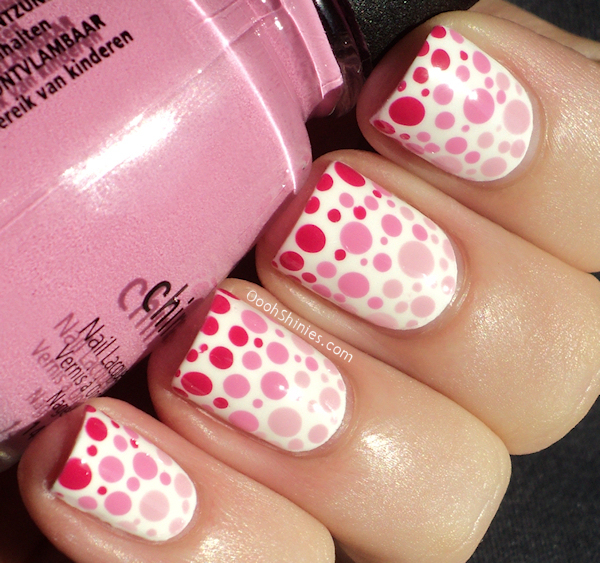 ), so I continued with the pinks I already picked and used different sizes dotting tools to cover my nails in pink dots. I think I went a little overboard with the smallest ones but all in all, a fun and easy mani and I love it! Now I just need to practice with making my righthand look somewhat decent, lol. 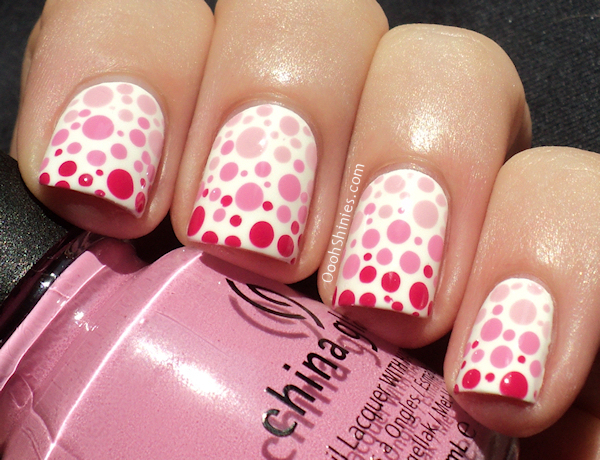 China Glaze Snow with Something Sweet, Dance Baby and Fuchsia Fanatic.